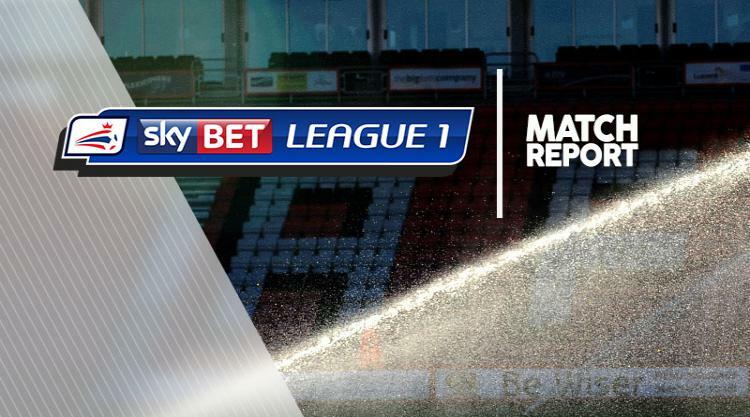 Walsall produced a stunning fightback to come from three goals down and rescue a point in a 3-3 thriller with Bradford. After a scrappy first half-hour, Bradford went ahead after 30 minutes as Alex Gilliead's rampaging run led to Charlie Wyke drilling across the six-yard box for Shay McCartan to tap home. Bradford doubled their lead after 38 minutes as Dominic Poleon latched on to Tom Field's cross and swept a scuffed finish into the bottom corner from 10 yards. It looked game over when Bradford made it 3-0 after 49 minutes, Tony McMahon's deep free-kick turned into his own net by Walsall defender Luke Leahy. Leahy soon atoned for that, scoring with a bullet header from Nicky Devlin's cross to pull one back after 55 minutes. The comeback was on when substitute Tyler Roberts - signed on loan from West Brom a day earlier - headed home Leahy's 61st-minute cross from 12 yards, just eight minutes into his debut. And the fightback was completed three minutes from time as Roberts' teasing cross was bundled home from close range by Amadou Bakayoko to salvage a point for Walsall.